If I were a boy, I would totally have to have this shirt. It's the coolest T in America. Supreme, 274 Lafayette Street, is home to New York City's skate culture, and has been since 1994. A gang of New York skaters and artists are the store's staff, crew, and customers. Now there are shops in California, Hawaii, Canada, England, Germany, Italy, Australia, and Japan. 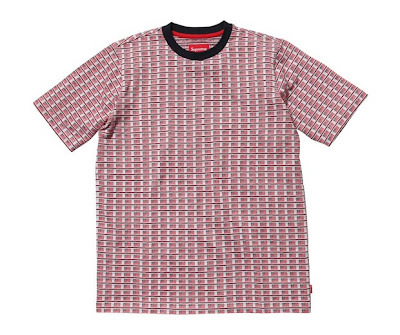 You don't have to be a skater to don this T.